People often consider sports drinks to be a healthier choice than other popular drinks, such as pop or fruit juice. But in fact, they can actually cause serious damage to your teeth. Because they're associated with athletics, sports drinks may seem like a healthier choice than pop and juice. But sports drinks are actually very high in sugar, salt, and calories. The result is that when consumed in excess, they aren't really particularly good for you. Abother problem with sports drinks is that they can also contain high levels of acidity. When combined with the above mentioned sugar, this acidity can cause cavities. How are sports drinks bad for teeth? The acid that is already in these drinks, and with that created by bacteria that feed on sugars in your mouth, breaks down your teeth's enamel and dentin, eventually resulting in cavities. Your teeth will also become more sensitive to temperature change and touch when their enamel breaks down. 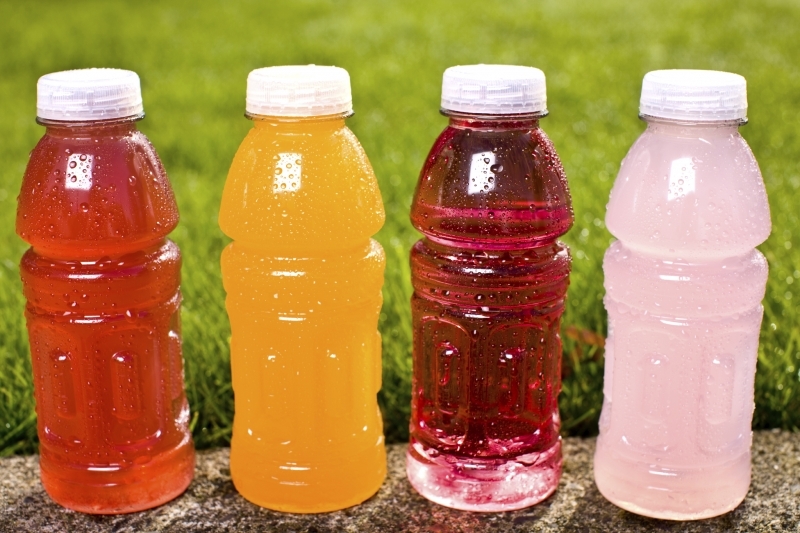 Should I stop allowing my child to drink sports drinks? At Smile Town Burnaby, we recommend you treat sports drinks just like you would any other food or drink that's high in calories and sugar. Sports drinks fine in moderation, but they shouldn’t be an everyday indulgence. In addition, making sure your child is extra thorough with his or her brushing and flossing routine after consuming a sports drink is also a good idea! What should my child drink instead of sports drinks? The absolute best choice for quenching your child’s thirst is (you guessed it) water! To add extra flavour, you can experiment with adding different fruits or even vegetables to the water. Citrus fruits, such as lemons, limes and oranges add some zip and sweetness, for instance. Adding cucumber slices to a cool glass of water can be very refreshing! Please contact the Smile Town Langley team with your questions about sports drinks and healthy alternatives, or about your child’s oral health in general.